Whether you are faculty, staff, a student or a visitor, we want your campus experience to be a positive one. Physical Facilities values academic engagement and collaboration with other departments across campus. 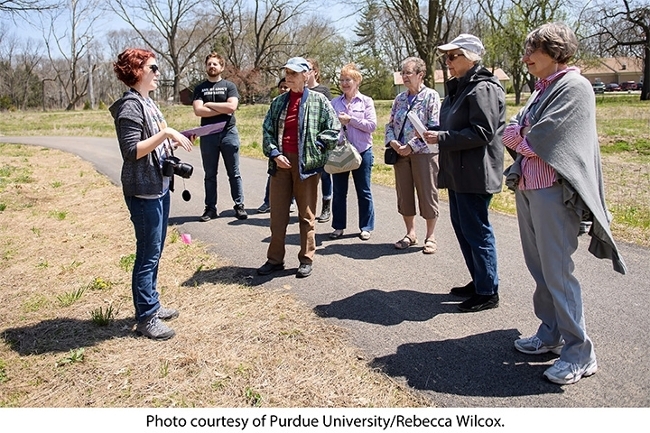 One example of this is when student interns in the Campus Master Planning and Sustainability department partnered with the Purdue Arboretum to provide guided tours at the Horticulture Park grand re-opening event. Interns learned about the improvements that had been made and new features in the park to share with and educate event attendees. Additional college and department engagement efforts are linked below.